We are so excited for this new school year – to see what’s in our classroom and meet our new friends. 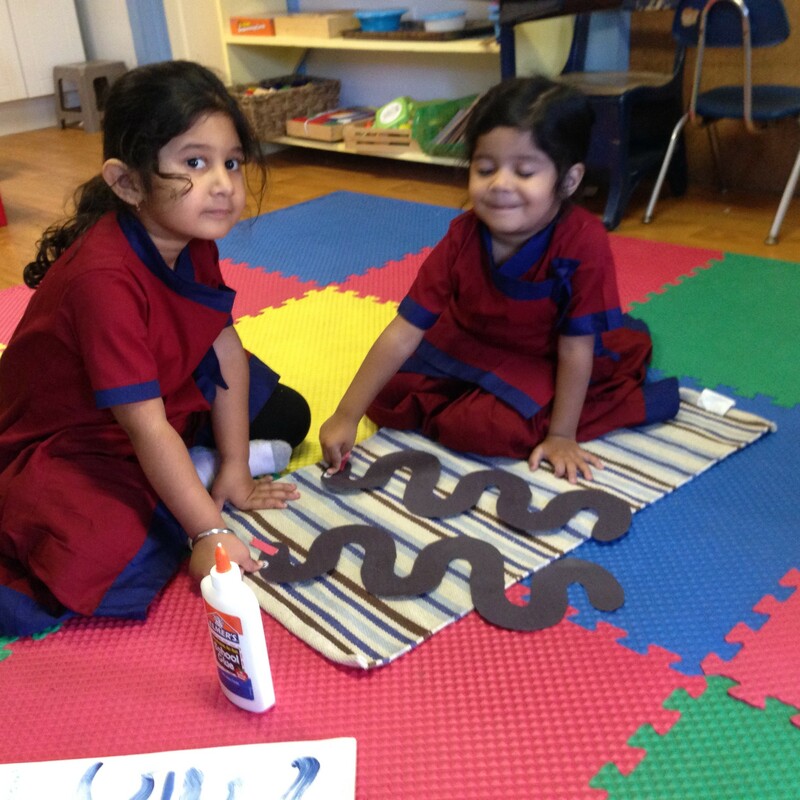 We happily explore new materials, and learn much more than ABCs and 123! Here Kanai is working with building blocks to make a big bridge where cars can go on top and people can walk underneath. I wish I could record his conversation. Building with Bristle Blocks is one of Pavit’s most favorite activities. He engages himself in making different patterns and structures. During our science session we learned about our body and soul. We referred to a relevant Bhagavad-gita verse: “Dehino smin yatha dehe”. We made our body booklet learning different parts of our body and naming them in the book. As a group project we traced an outline of our bodies on a brown paper and marked some detailed parts in it. It was real fun. 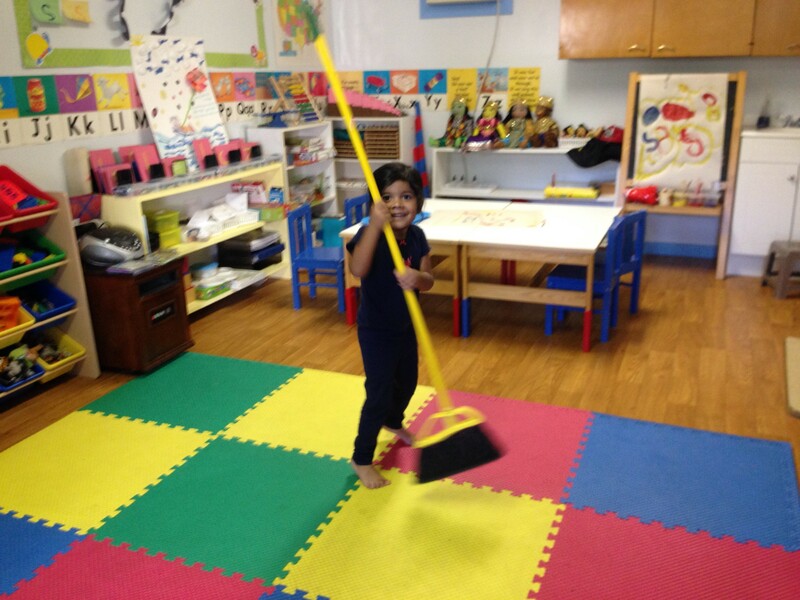 During Friday’s cleaning session, Kirtida swept the floor, keeping our classroom clean and beautiful. In Language Arts we learned phonics through singing “Aa Apple Bb Ball…” and working on the letter ‘S’. We did object-hunt in the classroom, trying to find as many objects as possible which begin with the sound ‘s’. As a project we made snakes using ‘s’ shape and sang about a snake. During our individual learning session children work with the teacher one on one. 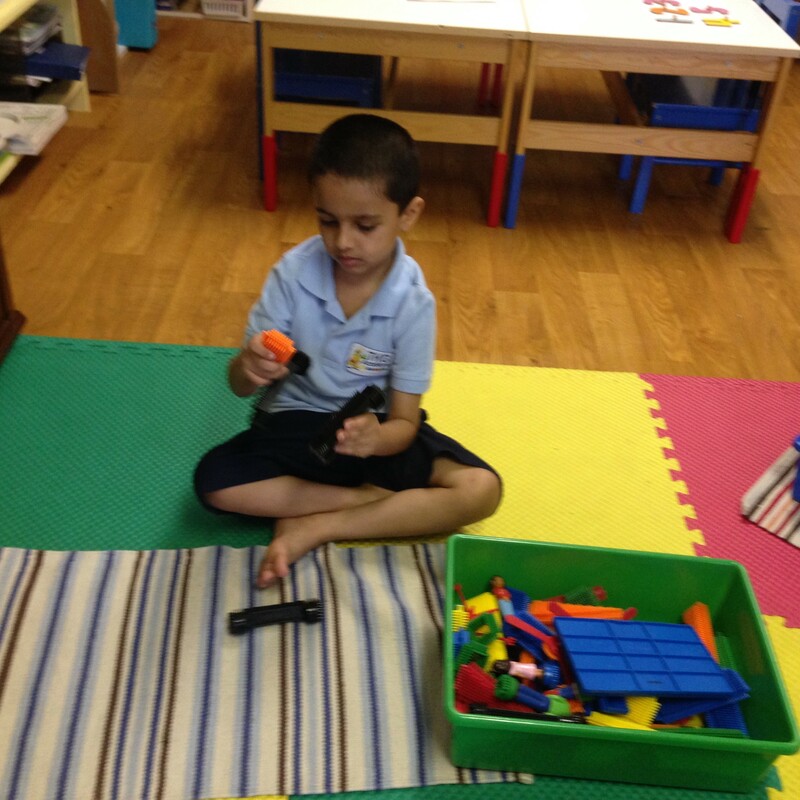 Here Aditi is working on sound object box where she is choosing objects and placing them according to their beginning sound. In Math we learned about calendars and reviewed the numbers. All my enthusiastic students participated in this group project of tracing numbers and choosing glitter stars, counting and placing them according to the numbers.